Looking for a day out with a difference? Want to give your children an enjoyable experience by learning through play or experience? To learn a subject and remember it well, why not live it!? While holidays are all about having fun, you may wish for something more educational for your children. Whether providing some extra-curricular learning, or giving your children an experience to reinforce what they have learned in school or at home, there are some great sites in West Wales which provide fantastic insights into a range of subjects for all ages. Forget the classroom: come and experience history as real life! Once a part of the Demetae tribe with up to 100 villagers, Castell Henllys is a reconstructed Iron Age Village and hillfort that has been rebuilt exactly where it once stood, with large roundhouses and real Iron Age pigs! See how villagers lived here over 2000 years ago, and experience their lifestyle at first hand whilst inspiring your children to learn and spark their imagination through re-enactment and hands-on activities. 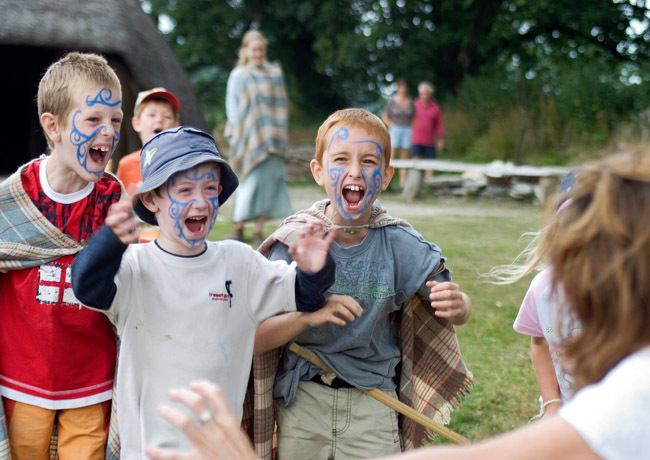 With living history activities, you can learn how to be an Iron Age Warrior, hear stories of the past around the campfire, discover how the buildings themselves were made, and watch a woodsman in action. Other attractions include a sculpture trail, wildlife walks including Bats and Otters, costumed guided tours, craft demonstrations and seasonal events such as Roman Day and a Wildlife Watch day. Facilities include a Visitor Centre, Café and Shop. There are two car parks and good facilities for disabled visitors. Open all year round 10.00-5.00, apart from Christmas and New Year. Also visit: Pentre Ifan Neolithic Burial Chamber; Gors Fawr Stone Circle with views of the Preselis. Stay at: Penpedwast Lower Barn; The Vestry; or another pretty cottage in North Pembrokeshire! For information and prices visit the Castell Henllys website or call 01239 891319. Llywernog Silver-Lead Mine is a combination of a former mine and Lord Of The Rings brought to life. Near Aberystwyth, it was founded in 1742 and transformed into the mythical wonderland it is today in 2012. An out-of-this-world experience, it has many different aspects to appeal to your children. Fun educational features include a restored mine and its buildings and equipment, mine shafts and giant waterwheel. There are also a wide range of activities such as bushcraft skills, panning for Fool’s Gold and dam-building. There is a range of other exciting opportunities to inspire your imagination: find the dragon on an adventure trail; build dens in Woo Hoo Wood where there are also adventure trails and a maze; explore Silver River play area with a water channel system to splash around in; or play games on Shroomy Hill. Special events include a Dragon Egg Hunt, Summer Ghost Walks and Halloween Horror Mazes. For the brave amongst you, try the Black Chasm and face your fears in the dark in this terrifying attraction. Open March to October, with guided tours available. Amenities include Coffee Shop with hot and cold snacks, Picnic Areas, Gift Shop, and free parking. 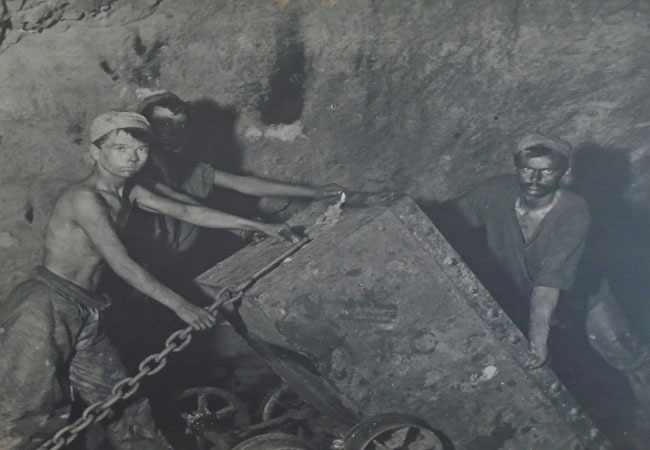 Also visit: Dolaucothi Gold Mines; Colby Woodland Gardens and its deserted coal mine. Stay at: remote Tynyfron; Hen Ysgubor; or another lovely cottage in the Cambrian Mountains. For information and prices visit the Silver Mountain Experience website or call 01970 890620. Forest schools and learning bushcraft are becoming a part of our children’s education. Discovering where our food comes from, practising survival skills, and respecting nature while living off the land are great activities for the young – and are brilliant ways to have fun outdoors as well! Bushcraft takes you back to basics, sparking your imagination whilst trying new things, all with a professional on hand. Activities include making fire, building shelter, finding water, wildlife awareness, animal tracking, nature walks and archery. Whether you fancy a family outing, or a great experience for a group of children, there are a number of choices available. Buzzard Chris Bushcraft is in South Pembrokeshire, and offers a range of different courses. Dryad Bushcraft is based near West Wales on the Gower Peninsular, and runs a family bushcraft camp. Some organisations can also take you for a meal from the outdoors. With wild food foraging, your children can find fresh food and herbs from a variety of places, as well as learning how to prepare and cook them. 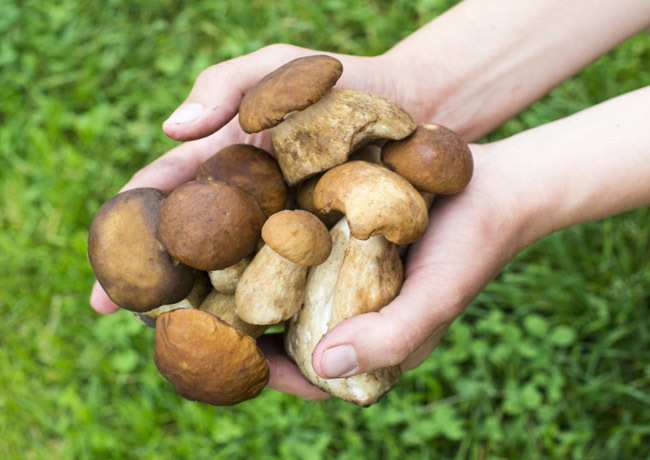 Funghi Forays are based in the Elan Valley and offer a chance to learn about the wild mushrooms available out there. Wild About Pembrokeshire can take you out foraging along the seashore or down hedgerows, to learn about what to eat and how to cook it. Wild Pickings is based in Cardigan and runs courses which children can join too. Why not come for an educational yet tasty experience! Set in the beautiful Ceredigion countryside across which their hives are spread, New Quay Honey Farm combines an informative day out with the opportunity to treat your family. 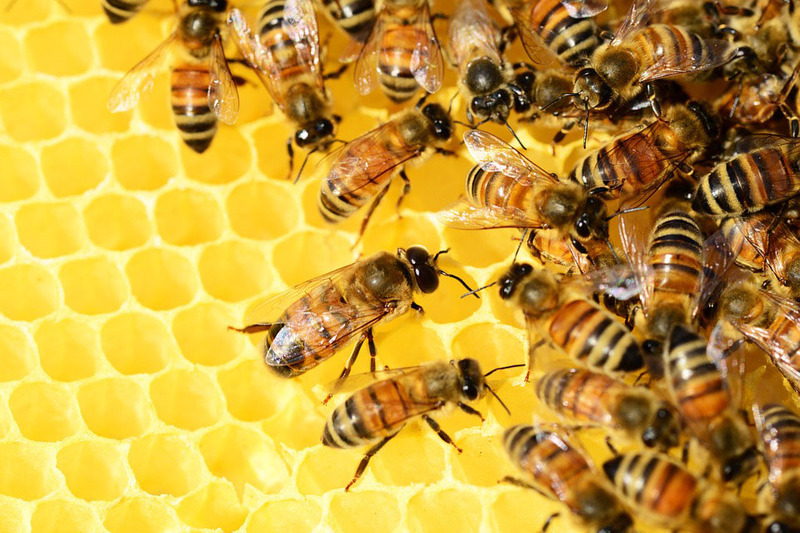 Learn how bees live, hives work and honey is produced, or search for the queen bee and watch her lay her eggs. Also learn about their tropical ant colony. The farm produces a range of honey, including set or runny, heather, mountain or wildflower. It also has a Meadery where its own honey is turned into mead with several flavours available, and where you can learn about the process and the history of Welsh mead, the oldest known alcoholic drink. The Tearoom serves homemade cakes, cream teas and ice creams, including honey flavoured ice cream! There is also a Wildlife Garden, Picnic Area, Visitor Centre and Shop, selling their honey, mead, and beeswax products such as candles, cosmetics and polish. The Live Bee Exhibition is open from May to October, where you can watch the bees at work behind glass and begin to understand a day in the life of a worker, drone or queen bee. There are also exhibitions and courses available including Beekeeping and Cookery Courses. Open Easter to October, closed Sundays and Mondays (apart from Bank Holidays). Also visit: Brynderi Honey Farm for homemade ice creams and sorbets; Caws Cenarth Creamery for delicious local cheeses and how they are made. Stay at: Penyrallt Cottage; Fronnant, or one of the other lovely cottages in the Cardigan Bay area. For information and prices visit the New Quay Honey Farm website or call 01545 560822. Come for an adventure in the great outdoors where you can meet the wildlife up close. Llanelli Wetlands Centre has a great assortment of ducks, swans and geese to meet – and feed by hand! 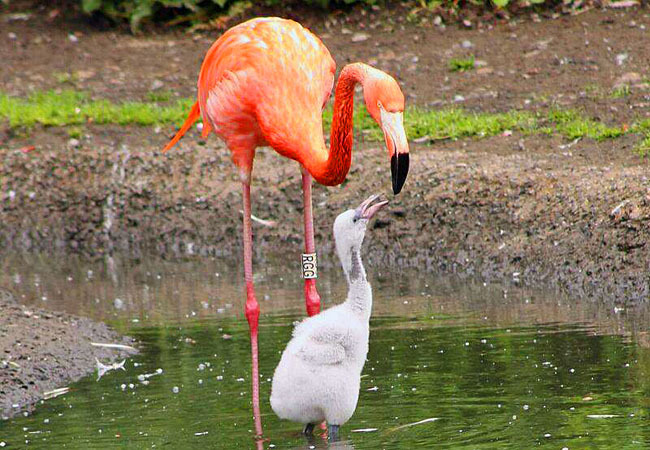 There are exotic Caribbean Flamingos, Butterflies, Dragonflies, as well as a host of other birds and wildlife to spot around the site – and with recent sightings posted to let you know what to look out for. With 450 acres of wildlife-packed wetlands to explore, complete with paths, Nature Trails and Viewing Tower, your children will learn a lot and play a lot! There are a range of hides to watch birds and wildlife from, with views of marshland and the estuary. Try the Swans Nest Maze and spot the eggs, or the Water Vole City with its winding tunnels to crawl through. There are seasonal activities during the holidays or at weekends – build a den, try pond-dipping or a variety of indoor crafts. Open 9.30-5.00, all year round, with Café, Shop, free parking, good transport links and disabled access across the site, with great facilities for disabled visitors. Stay at: Trepartridge Cottage or another one of our Carmarthenshire cottages. For information and prices visit the Wildfowl and Wetlands Trust website or call 01554 741087. This entry was posted in Places to see and things to do and tagged carmarthenshire, ceredigion, child friendly, outdoor activity, pembrokeshire. Bookmark the permalink.